The Roti Prata House has been featured quite heavily in the past in various articles, magazines and food shows in Singapore. It has gained a reputation for having a particular unique was of cooking the roti prata. 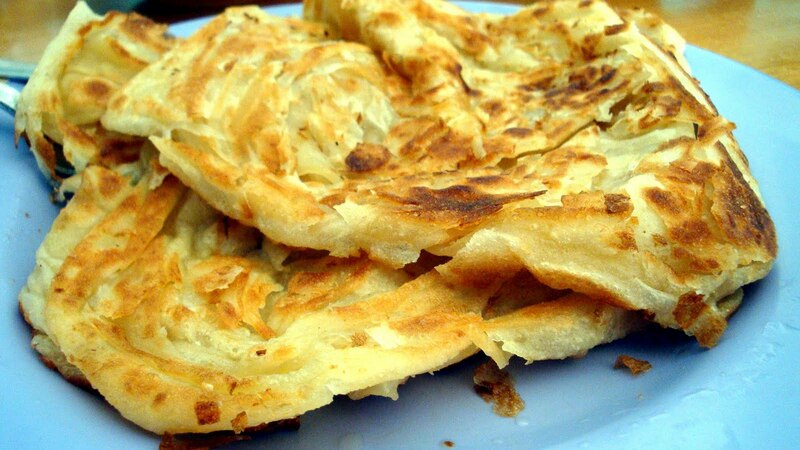 Why The Roti Prata House is special ? The Roti Prata House along Upper Thomson Road is an institution. It is considered to have one of the best Prata’s in Singapore. The prata that they sell is different from the typical ones you get, instead of a soft and fluffy one, you get a crispy and crunchy one. The menu is huge with lots of variety of roti prata. It opens 24/7, so if you have sudden craving of roti prata at midnight, you know where to go. Should try the Cheese Egg Prata. Literally melts in your mouth. Prata is crispy but the service here is super bad !!!! eat the prata here! one of my fav prata place. crispy on the outside, soft on the inside. & try the cheese mutton mutarbak! A simple and honest way to experience roti prata in every possible way. Great variety and reasonable prices. Make sure you get what you order. Some of the staff simply forgets what you have ordered. The final check is always a secret to me. Since it's not a lot I don't even want to understand the invoice. The tire shop next door is sometimes a bit noisy. Came here to have my meal during lunch time. The roti prata is very crispy and the drinks such as the tea Tarik is a must to drink. Service is quite fast as they are using ipad to take orders. It is nearby to upper pierce reservoir and nice scenery if you are seating outdoor. Came here with a my friend and his family one evening recently. We order a lot of stuff and one by one they came. Overall I have to say that I enjoyed the food here. You have to expect that its not the Ritz and most of the curries are pre prepared and then microwaved. The paratha are freshly made and certainly live upto expectations. Service can be slow when busy but I would certainly come here again. It's open 24/7.